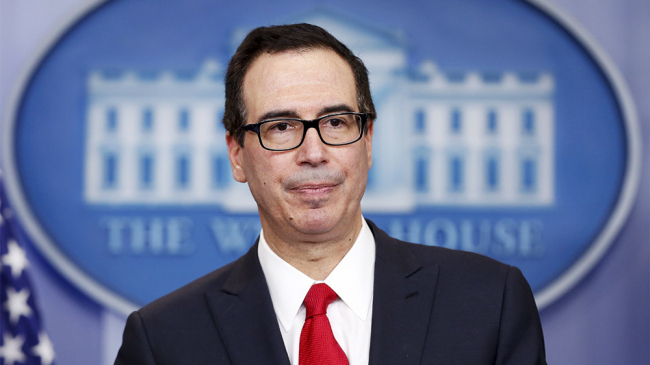 The United States on Thursday imposed sanctions on a Turkish company and several individuals for their alleged violation of sanctions against North Korea. The US Department of the Treasury said it is targeting SIA Falcon International Group for attempting to trade in weapons and luxury goods with North Korea in breach of United Nations sanctions against Pyongyang. The UN sanctions are designed to deprive the regime of resources to fund its nuclear weapons and ballistic missile programs. Also being sanctioned are the firm’s CEO, Huseyin Sahin; general manager, Erhan Culha — both Turkish nationals — and a North Korean diplomat. Ri Song-un, economic and commercial counselor at the North Korean embassy in Mongolia, negotiated trade deals involving weapons and luxury goods with SIA Falcon officials in Turkey earlier this year, the Treasury said. The South Korean government issued a brief statement on the US move. The US announcement came just ahead of Secretary of State Mike Pompeo’s visit to Pyongyang, where he is to meet with North Korean leader Kim Jong-un Sunday to discuss efforts to dismantle the regime’s nuclear weapons program and set up a second summit with US President Donald Trump. At the first summit in Singapore in June, Kim committed to work toward “complete” denuclearization of the Korean Peninsula in exchange for security guarantees from the US. North Korea has since taken steps to dismantle its nuclear and ballistic missile test sites, and demanded “corresponding measures” from the US Those measures are believed to include a joint declaration to formally end the 1950-53 Korean War, which ended only with an armistice, not a peace treaty, and an easing of sanctions against the regime. Washington has demanded more concrete steps toward denuclearization, such as a full inventory of the North’s nuclear arsenal with verification by outside experts. In the meantime, the US has said that sanctions must remain in full force. Thursday’s action freezes any property or interests of the targeted entity and individuals within the US and bans US citizens from dealing with them.